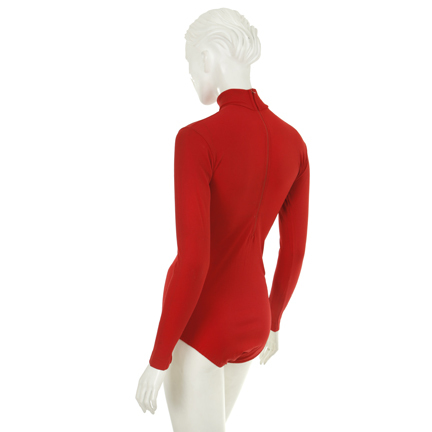 This vintage red leotard costume was worn by the character “Laverne DeFazio” portrayed by Penny Marshall in the classic television series “Laverne and Shirley” (1976-1983). 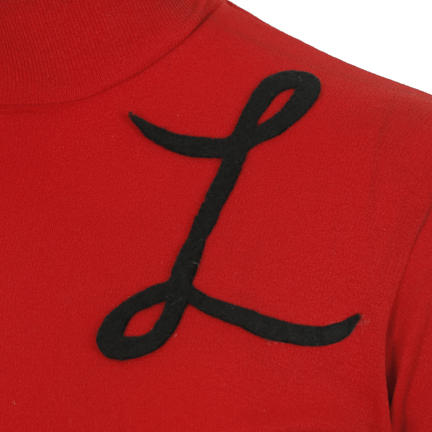 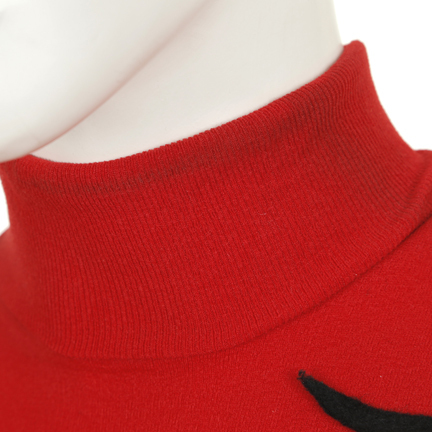 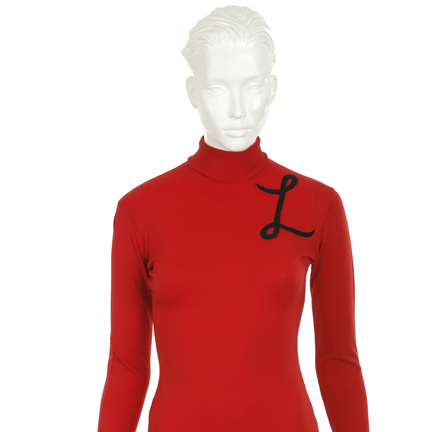 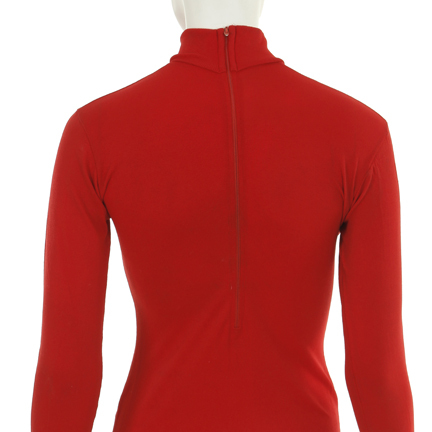 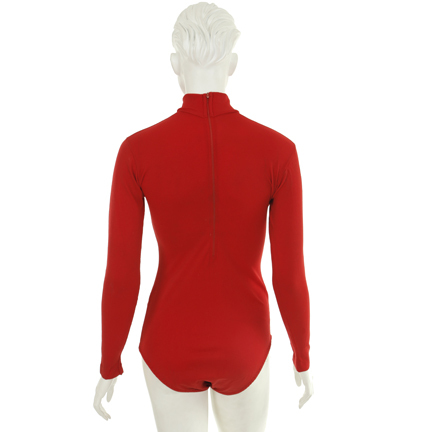 The long-sleeve red leotard has a ribbed turtleneck, rear zip closure, and Laverne’s signature “L” sewn onto the left breast. 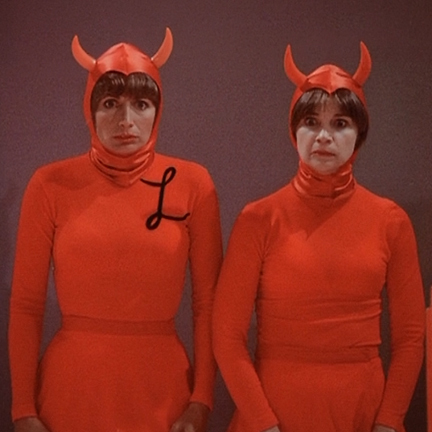 Ms. Marshall wore the costume in Season 5, Episode 4 “Upstairs, Downstairs”, in the hilarious dream sequence when Laverne and Cindy are in Hell. 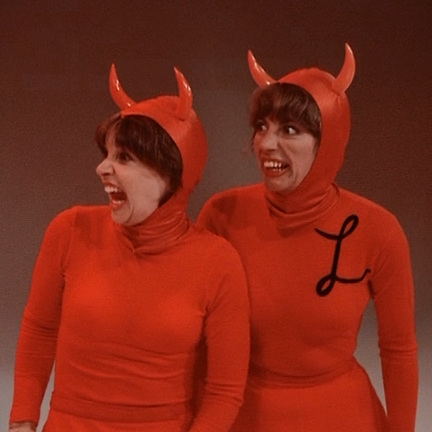 The Devil’s inn-taker reads of a plethora of reasons why Laverne finds herself there, but Cindy has only one reason why she is in Hell- helping Laverne steal money from the phone company! 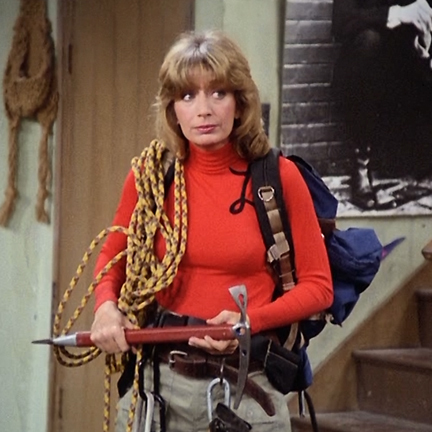 Also worn in Season 8 Episode 17 “Ghost Story”, when Laverne and Cindy are go camping. 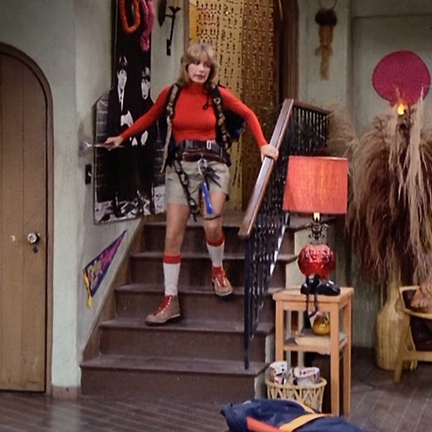 Laverne is struggling to make it down her steps and maneuver around the house with her camping gear on.